Whether you’re working in harsh conditions, noisy environments, long -shifts or looking for discreet communication, MOTOTRBO accessories and batteries stand up to the task and stand out in the field. Time after time, in lab test after test, they outperform leading brands. Our complete portfolio, including wireless Bluetooth earpieces and industry-exclusive IMPRES technology, is designed to perform optimally with our MOTOTRBO radios. For the utility crew working overtime to restore power, the job stops when the radio stops operating. IMPRES chargers evaluate battery usage and determine the best time to recondition it, ensuring you get the most out of every battery. IMPRES batteries can also be left in IMPRES chargers for extended periods without heat damage from the charger, so your batteries are ready to go when you need them. IMPRES audio accessories communicate with the radio to help suppress ambient noise, improve voice intelligibility and amplify loudness – even in noisy situations and harsh weather. So if you’re a security officer with an IMPRES remote speaker microphone or a hospitality manager wearing an earpiece, you can carry on a conversation with clarity, simplicity and certainty. Bluetooth accessories make communications even more convenient giving you freedom to take your radio off your belt or move around your truck (within 30 feet) and still stay connected. Drivers can check on packages in the back of the truck or hotel receptionists can leave the radio on the counter, yet still send and receive critical radio communications. The XPR 3000 series features a uniquely designed connector so accessories can be quickly and easily attached and detached with one hand, and an innovative new locking feature connects the accessory without any tools required. Every day, you rely on your radio. It’s your communications lifeline. It keeps you productive, connected and safe. With integrated Bluetooth, it can change the way you work, no matter where that work takes you. Armed with a wireless Bluetooth RFID scanner, school administrators efficiently identify students boarding buses for a field trip by scanning the RFID tag on their IDs. The data is seamlessly sent back to the main office computer via their Bluetooth-enabled digital portable radios, compiling a real-time attendance list so the school and bus company can track those students – and ensure their safety – until they return to school. As the head of hotel guest services, your job is to delight guests, a job made easier with a MOTOTRBO SL Series portable radio with integrated Bluetooth technology and a Motorola Operations-Critical Bluetooth wireless earpiece. Leaving the radio on your desk, you can walk up to 30 feet away, push a button on your earpiece, and instantly get a status update from employees in the ballroom setting up for today’s event. No wires. You’re free to move comfortably throughout the day, connecting with staff discreetly and efficiently. Your utility repair crew braves a severe thunderstorm to reconnect a power line downed by a tree. Their status reports sent through their Bluetooth earpiece while suspended high above the road still can be heard clearly, despite the driving rain and howling wind. No wires or hands required. Bluetooth technology has transformed the way we communicate and transfer information in both familiar and new ways – via our mobile devices and computers, cars and wireless earpieces and accessories. For business critical operations, integrating Bluetooth data and audio capabilities into a two-way radio creates a perfect match of advanced technology, customer insights and engineering. When paired with our new MOTOTRBO digital radios, it allows you to cost-effectively track remote assets and extend your business reach – all while saving time, money and resources. Integrated Bluetooth audio and data make hands-free, intelligent wireless communications possible in industries from manufacturing to hospitality. Bluetooth technology relies on short-range radio frequencies to deliver wireless, hands-free connectivity. When integrated into a single device, it eliminates the cost and need for an external dongle. Our solutions support an open standard, including the latest Bluetooth protocol*. This makes it easy to deploy off-the-shelf Bluetooth devices. Motorola’s next generation MOTOTRBO radios function as an “access point” between a Bluetooth-enabled enterprise device and a specific application, such as printer software or an inventory database. This allows a wireless barcode scanner, mobile computing device or printer to use our radio * Bluetooth version 2.1 + EDR Specification, class 2, 10-meter range to send real-time data back to a PC or central operations center, so a delivery driver can confirm receipt of a package and a public works crew can track assets in the field. And unlike other Bluetooth data devices that have only an LED indicator to confirm transmission, data notifications from our system are easy to confirm with alerts and notifications clearly received on the MOTOTRBO radio display − even at night with our innovative day/night color display modes. The most common profile allows a Commercial-Off-The-Shelf (COTS) headset or one of Motorola’s Operations-Critical Wireless earpieces to wirelessly connect to the radio acting as the device’s audio input and output mechanism. In the scenario below, a PTT press of the Bluetooth Operations-Critical Wireless Earpiece sends audio to the Bluetooth-connected radio over the radio link to a remote mobile radio. Supporting a PAN access point, MOTOTRBO provides IPv4-based networking capabilities for connected Bluetooth devices (e.g. PC). In the scenario below, the MOTOTRBO radios deliver standard IP networking data communication over the Bluetooth PAN connection between two PCs. The radio provides pass-through serial data transport for connected Bluetooth devices (e.g. scanner, PC, etc.) to a remote IP destination or locally connected radio peripherals (e.g. option board). 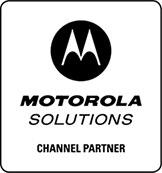 Motorola’s proprietary protocol over SPP supports fast PTT press/release detection over Bluetooth SPP for transmitting microphone (e.g. headset or radio microphone) audio. Drive operational efficiencies, keep field workers more productive and eliminate paperwork. The integrated Bluetooth data capabilities of Motorola’s MOTOTRBO radio system will help your existing communications system do more – for less. How? By leveraging the wide area network for data transmission, you avoid incurring the additional charges associated with using a cellular network for data. With data charges on the rise, this adds up to significant savings to your company’s bottom line. RFID scanner, a public works crew can use their radio to easily track mobile assets housed on service trucks or inventory stock in the warehouse, immediately alerting the main office when supplies are low and need to be reordered. That same technology ensures an airport ramp worker can quickly send time/date stamp information on baggage status via Bluetooth to his radio and then send that data back to the office to verify its delivery location. Integrated Bluetooth turns your radio into a more powerful, productive communications tool. More flexibility. Greater freedom. Industry-leading audio. You get them all when you pair a MOTOTRBO radio with Motorola Operations-Critical Bluetooth accessories. With Bluetooth capabilities integrated into the radios themselves, you no longer need any additional devices, such as a dongle, for pairing a Bluetooth headset or accessory to a radio. In a few simple steps, the radio can find and connect a Bluetooth-enabled device, and is operational within seconds. MOTOTRBO radios support a wide variety of Bluetooth accessories, but are significantly enhanced with the addition of Motorola Operations-Critical Earpieces. Ruggedly reliable and Bluetooth-certified, our portfolio offers a variety of earbud and earpiece options, along with a wireless push-to-talk (PTT) pod you can put in a pocket or under your coat and link to any earpiece. Motorola’s earpiece uses Bluetooth 2.1 Secure Simple Pairing, so it automatically pairs when you power the radio and earpiece on. Lightweight, comfortable and durable enough to support your busy work day, it provides exceptional audio in loud environments and an extended battery life for long work shifts. © RA-COMM. All rights reserved. Motorola Solutions Two-Way Radio Solutions Channel Partner Serving Central and Western Indiana. With locations in Lafayette, Terre Haute and Pittsboro Indiana.